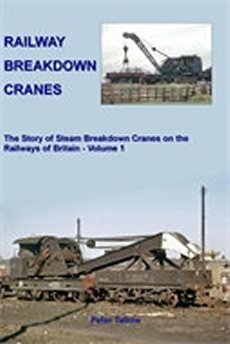 Peter Tatlow's background as a professional engineer leant considerable weight to his two previously published volumes on Railway Breakdown Cranes both of which have received unqualified praise from reviewers. This new book looks at the smaller cranes used by the engineers and other departments mostly on track work though sometimes they operated at stations on other duties. These smaller cranes, which were mostly self-propelled, were powered by either by steam or diesel though in order to present a complete picture of this range of specialist vehicles, some hand cranes are included. In series with the two earlier volumes, the book's detailed text is accompanied by numerous colour and monochrome illustrations and the author's meticulous drawings are reproduced to 4mm scale making them ideal for the modeller. The narrative transcends BR regional and railway company boundaries and records the history of these smaller cranes from the earliest days right up to the present. Like the two previous Railway Breakdown Cranes volumes, this new book covers a subject never before tackled and so will be welcomed by railway enthusiasts, historians and modellers across board. 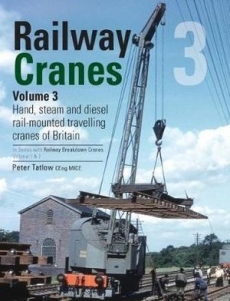 Be one of the first to review the Hand Steam & Diesel Rail Mounted Cranes of Britain: Railway Cranes 3.